Nintendo’s Dragalia Lost (Free) had some big news recently detailing new additions and the upcoming Fire Emblem event. The Fire Emblem: Lost Heroes event is arriving on April 25th at 3 AM (PT) and it will be on until the middle of May. Details will be announced soon. 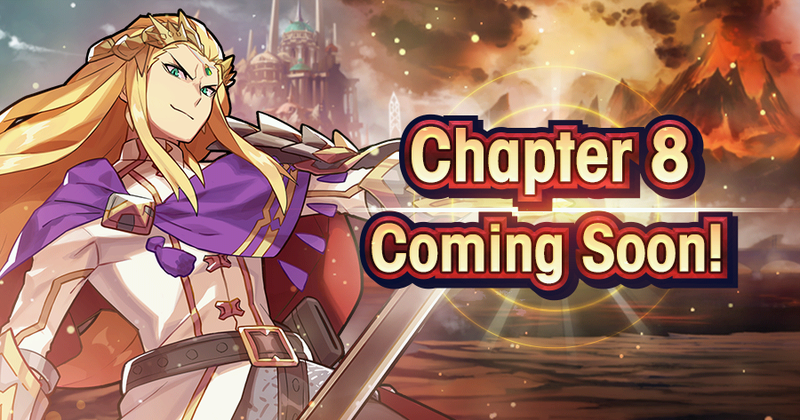 Chapter 8: Entwining Flames is coming to the main campaign tomorrow. It will be playable after clearing Chapter 7 / 5-6 ‘A Bond to Unite the Land’. The Advanced Dragon Trials that went live recently get a new addition in the form of High Mercury’s Trial. This will be added on April 17th. This Trial has the Waterwyrm Mercury becoming High Mercury. You need 13,000 might or higher to take part in this trial and the usual co-op rules apply. Dragalia Lost is free to play on iOS and Android Read our review of it here. They finally brought the game to more regions like Ireland, the United Kingdom, Australia, Canada, Singapore, and New Zealand recently and I hope the service expands further in the near future. Do you still enjoy playing it daily and what do you expect from the Fire Emblem event?